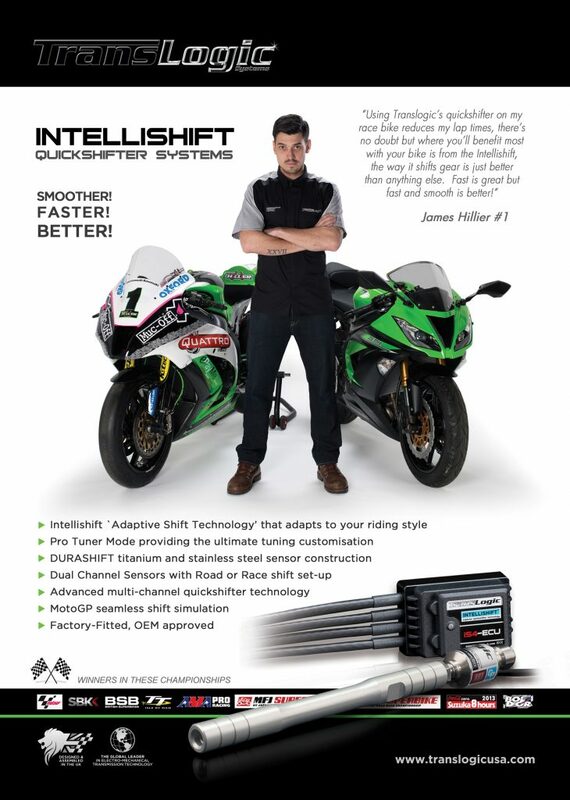 Unique and powerful superior Intellishift Quickshifter featuring MotoGP seamless shift simulation and adaptive-shift-technology. Includes ‘Pro-Tuner-Mode’ allowing you to change sensor shift force and interrupt durations at different engine RPMs. 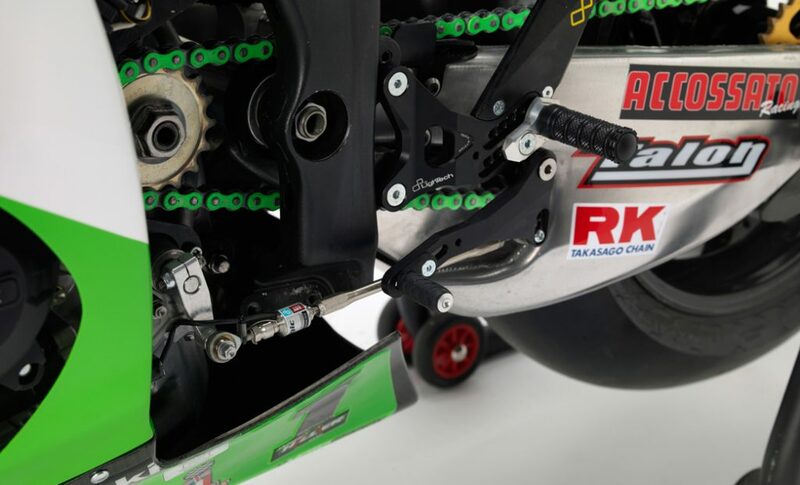 Ultra-durable Quickshifter sensors, designed to perform, produced from Titanium and Stainless steel alloys. Environmentally endurance passed. The #1 OEM choice for reliability and performance. Dual channels for road or race shift set-up and available as a 3 wire 5v configuration. Compliments Translogic’s NEW Blip Assist ECUs. Experience the joy of ‘on-the-fly’ tuning, Make minor adjustments to the primary interrupt settings even whilst riding, perfect for changing track conditions and tyre wear during the race. Tie-rods manufactured using aircraft specification aluminium for durability and lightness featuring Translogic’s DUAL THREADS. Supplied as complete 4 piece tie-rod kits or bespoke single tie-rods, it’s all included for an easy install. Translogic Systems Ltd has developed the most advanced ‘SMART’ Quickshifter systems available and exclusively developed the unique Intellishift with adaptive shift technology, the most important aspect of a great Quickshifter system, without this exclusive state of the art quickshifter feature the quickshift will not be good enough at mid to lower RPMs, the result will be snatchy gear shifts with all other systems unless you are higher up in the engines rev range. There are many actions carried out during the Intellishift function, too many to mention and that’s what separates Translogic quick shifter systems from all others. 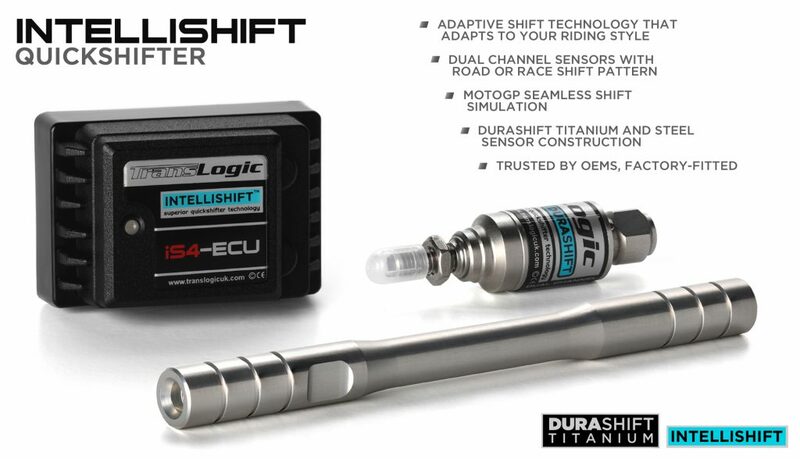 Click on the link image to the right to see and experience Translogic’s Intellishift Quickshifter in action at Circiut of the Americas, MotoAmerica championship.